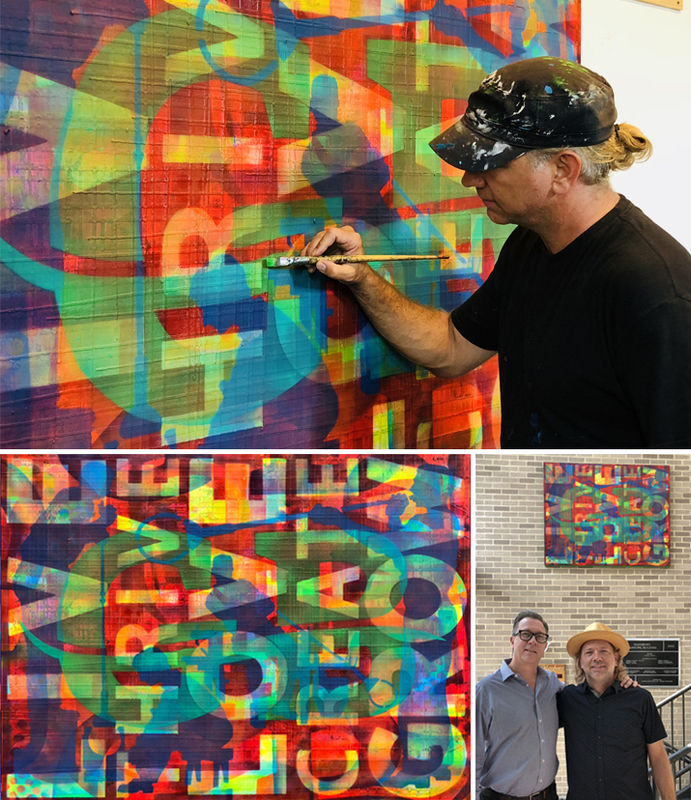 We are honored and humbled to be partnered with the wonderful leadership team in Glassboro with William’s commissioned art, Glassboro: Vibrant Future(4′ x 5′ – acrylic on canvas). We are thankful as William’s painting, Glassboro: Vibrant Future,was permanently installed in the Borough Hall in Glassboro, NJ. Our hope and prayer is all who view this dynamic painting are reminded of Glassboro’s historical significance of glassblowing and also encouraged and excited about the vibrant future of Glassboro. Special thanks to Lavon Phillips, Director of Public Relations & Business Development for the City of Glassboro. Also, special thanks to Mayor John E. Wallace IIIand all of the City of Glassboro City Council.